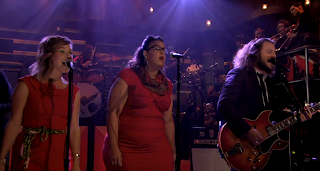 My Morning Jacket, Alabama Shakes’ Brittany Howard, and tUnE-yArDs’ Merill Garbus joined forces on Late Night with Jimmy Fallon on Friday night. With accompanied fromThe Roots and Antibalas horns, they performed “Trouble Sleep Yanga Wake Am”, their collaborative contribution to the new Fela Kuti covers album, Red Hot + Fela. The album, which also includes TV on the Radio and Chance The Rapper, pays tribute to the Afrobeat legend, whose 75th birthday would’ve been next Tuesday. 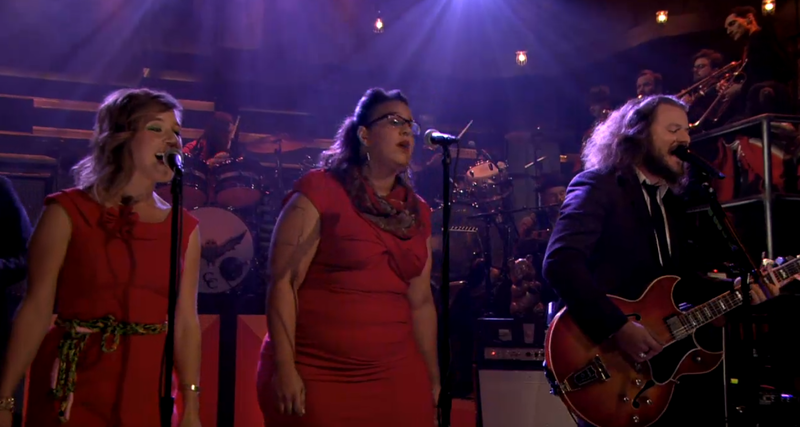 Replay the full seven-minute performance below.